Human Hair Follicle Dermal Papilla Cells (HFDPC) are mesenchymal cells isolated from the hair papilla of normal human scalp hair follicles. 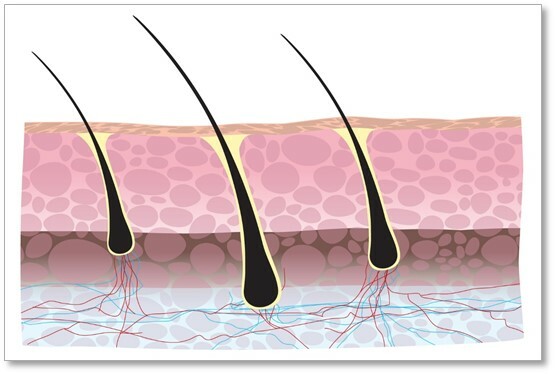 Hair papilla, in the adult hair follicle, plays a crucial role in the dermal-epidermal interactions that control hair production and events of the hair growth cycle. HFDPC can therefore be used for studying cellular mechanisms organizing the hair follicle, and for the development and evaluation of hair growth products. (Click to Enlarge) Hair Follicle Dermal Papilla Cells, HFDPC (L) immunolabeled for vimentin (green) & nuclei stained w/ DAPI (blue) (R). Watabe, Y., M. Tomioka, A. Watabe, M. Aihara, S. Shimba, and H. Inoue. 2013. The clock gene brain and muscle Arnt-like protein-1 (BMAL1) is involved in hair growth. Archives of dermatological research. 305:755-761. Glynn, K., L. Duvel and D. Flower. 2012. Methods and compositions for modulating hair growth or regrowth. Patent US 8197865 B2. Takigawa, H., and Y. Shibuya. 2012. The Metabolites of Food Microorganisms. Drug Discovery Research in Pharmacology. ISBN: 978-953-51-0213-7, InTech, DOI: 10.5772/33325. Schönfelder, M., H. Michna, H. Hofmann, H.Meyer, M. Pfaffl, M. Reiter and K. Georgieva. 2010. Dopinganalytik – Möglichkeiten der Gen-Expressionserfassung aus Haarfollikelzellen, Lymphozyten und Mundschleimhautepithel. BISp-Jahrbuch – Forschungsförderung. Reiter, M., M.W. Pfaffl, M. Schonfelder, and H.H. Meyer. 2008. 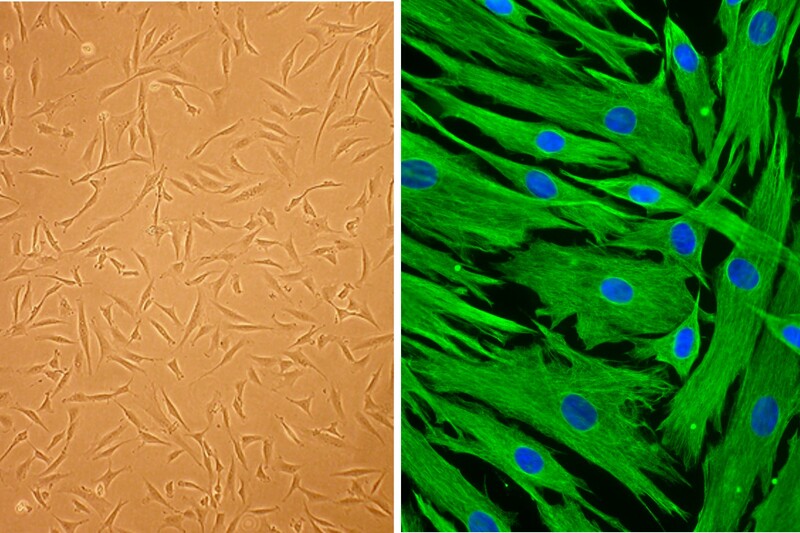 Gene expression in hair follicle dermal papilla cells after treatment with stanozolol. Biomarker insights. 4:1-8. Sasajima, M., S. Moriwaki, M. Hotta, T. Kitahara, and Y. Takema. 2008. trans-3,4'-Dimethyl-3-hydroxyflavanone, a hair growth enhancing active component, decreases active transforming growth factor beta2 (TGF-beta2) through control of urokinase-type plasminogen activator (uPA) on the surface of keratinocytes. Biol. & Pharma. bulletin. 31:449-453. Boivin, W.A., H. Jiang, O.B. Utting, and D.W.C. Hunt. 2006. Influence of interleukin-1α on androgen receptor expression and cytokine secretion by cultured human dermal papilla cells. Experimental dermatology. 15:784-793.